Gear Review; Columbia Sportswear Women’s Storm Surge Pant | Shes a ManiYak! 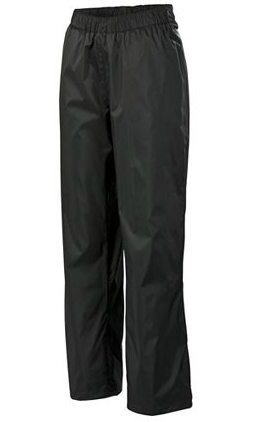 After what seems to have been a continuous, non-stop rainfall the first half of this spring, I decided that if I was going to get to fish much I needed better rain gear. Not that I’m afraid to get wet, but sitting soaked in a kayak for several hours on a chilly day can be more than a bit uncomfortable. I decided on the Storm Surge Pant for Women from Columbia Sportswear. Storm Surge features Omni-Tech® technology, that is it’s Waterproof and Breathable. In fact it provides maximum waterproof-breathable protection keeping outside elements from getting in, while allowing moisture to move away from the skin. They arrived at my house last week, just in the nick of time! The rain was still falling and I wanted to go fishing! Saturday rolled around and although the forecasters were calling for some big thunderstorms, they wouldn’t arrive till after 4:00 in the afternoon. Ah hah! That gives me the first half of the day to fish because I’ve already learned I don’t want to be on a lake in my kayak when a thunderstorm hits hard (but that’s a story for another day). I loaded up, put on my Columbia Rain Jacket and my new Storm Surge pants and headed up to Owenton to the Elmer Davis Lake. It turned out to be a great day of fishing and I have never been more comfortable in the rain. Instead of a big, over-sized poncho, or a cheap rain suit that can come apart at any given movement, I was wearing gear that felt comfortable, durable and above all else, breathable! Through several downpours and non-stop drizzling I stayed high and dry. It was nice to get to enjoy some of the benefits of fishing in the rain without feeling like a drowned muskrat. I found my body temperature stayed at a comfortable range too with one exception. When the sun broke through on a few occasions (though never for very long) I found the black pants to attract the heat of the sun. I’m hoping Columbia comes out with these pants in some lighter colors. Maybe some that pair up nicely with the jackets for a polished, pro-uniformed look on the water. I’ll give these pants an 8 out of 10. I’m deducting a point because there are no front pockets and because of black being the only available color. Other than that, this is a great product that I would recommend to someone who wants to be able to fish rain or shine. This entry was posted in General Info, Kayak Fishing, Product Reviews and tagged columbia sportswear, Kayak fishing, Kentucky. Bookmark the permalink.